A 1.5 year postdoc position is available in the Department of Cognitive Neuroscience, Bielefeld University, Germany (http://www.uni-bielefeld.de/(en)/biologie/cns/) to work with Prof. Marc Ernst on the EU funded Project “The Hand Embodied – THE” (http://www.thehandembodied.eu/). 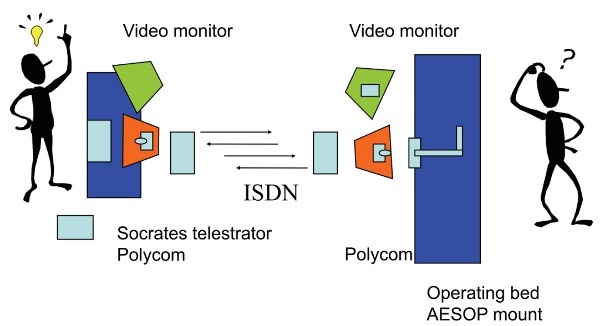 A University of Pittsburgh Medical Center uses telepresence technology to provide live support for surgeons in other countries who have difficulty replicating complex new procedures. Since 2005, its cranial base surgical team of three neurosurgeons and two otolaryngologists have trained more than 500 surgeons from more than 30 countries on treatment tumors and other conditions affecting the base of skull, nasal, and sinus areas, and some areas of the brain. About 60 percent of those who come for a four-day course are international physicians, but once back home they often send emails seeking help, Carl Snyderman, M.D., one of the telementoring leaders, told Healthcare Informatics. Videogames 2012 – Annual Conference in Science and Art of Videogames will be organized by the research line “Media, Technology, Contexts” of the Research Center for Communication and Culture (CECC), at the Faculty of Human Sciences of the Catholic University of Portugal, and the Portuguese Society of Videogame Sciences (SPCV).The SPCV conferences take place annually and have come to constitute significant venues to promote research as well as debate and foster the videogames industry. The conference hosts researchers and professionals in this area, and aims at promoting the dissemination of work in the field and facilitating exchanging experience between the academic community and the industry. This 5th conference seeks to assert itself as a multidisciplinary event, looking for contributions from several scientific areas including art, game design and narrative, computational aspects, as well as videogames theoretical and critical analysis regarding practices and applications that encompass the market and the industry. Original and high quality submissions are expected, from both the academic community and the gaming industry. Here are the five prospective pre-constituted panels looking for participants from the Video Game Studies Scholarly Interest Group (VGSSIG) of the Society for Cinema & Media Studies (SCMS) for the Chicago 2013 SCMS conference. 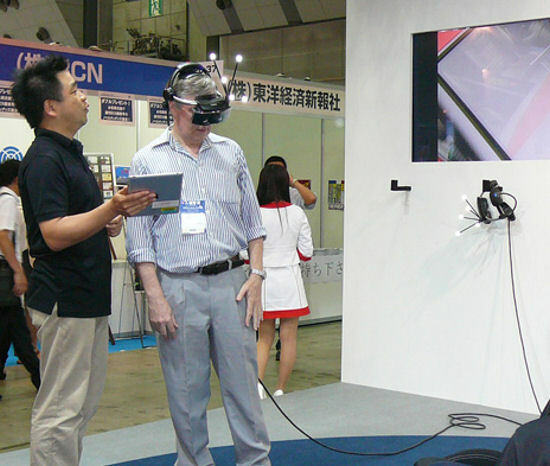 26 July 2012—Canon begins selling a next-generation form of virtual reality technology known as mixed reality (MR) this month. The company suggests its version of MR is an enhanced, more grown-up version of the augmented reality provided by some smartphone apps and things like Google’s Project Glass. 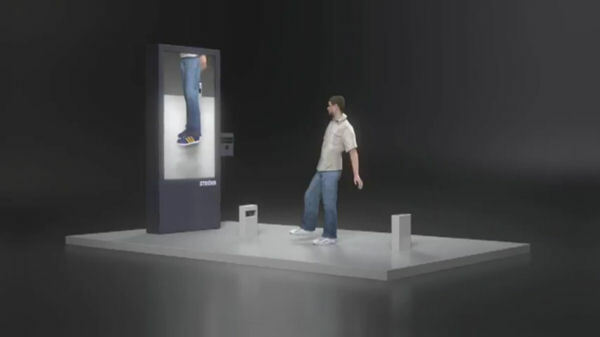 In contrast to augmented reality, which typically adds text or simple graphics to what the user sees, Canon’s MR adds computer-generated virtual objects to the real world in real time, at full scale, and in three dimensions. ICIS (http://icis2012.aisnet.org/) is the major annual international meeting of the Association for Information Systems (AIS), which has over 4,000 members representing universities in over 95 countries worldwide. It is the most prestigious gathering of academics and practitioners in the IS discipline, and provides a forum for networking and sharing of latest ideas and highest caliber scientific work among the IS professions. Each year, over 1,000 IS academic professions from around the world participate in the conference program, which includes about 60 sessions and 180 presentations, in addition to keynotes, CIO panels, and research panels. The Journal of Virtual Worlds Research (http://jvwresearch.org), following a successful workshop in Shanghai at ICIS 2011, will host a special face-2-face workshop on Augmented Reality. To reach out to more consumers, German shoe retailer, Goertz, has gone virtual with their augmented reality ‘pop-up’ shoe stores.